In Kabukicho, Shinjuku, there's a little gyoza (dumpling, pot-sticker) restaurant called Gyoza Senka LEE (餃子専科LEE). 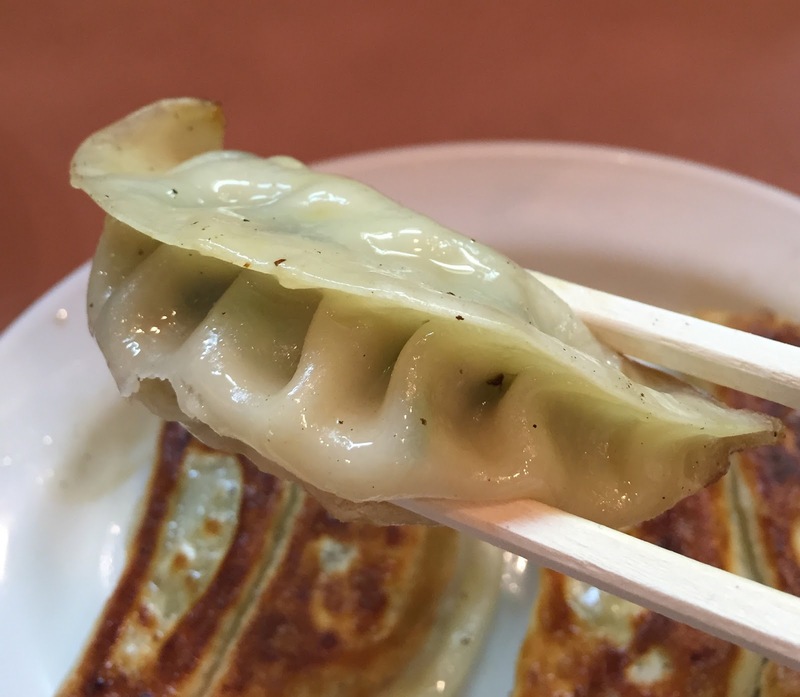 餃子 is gyoza and 専科 is Senka and it means "specialized in." I was interested in this spot so that the other night, I visited there for the first time. 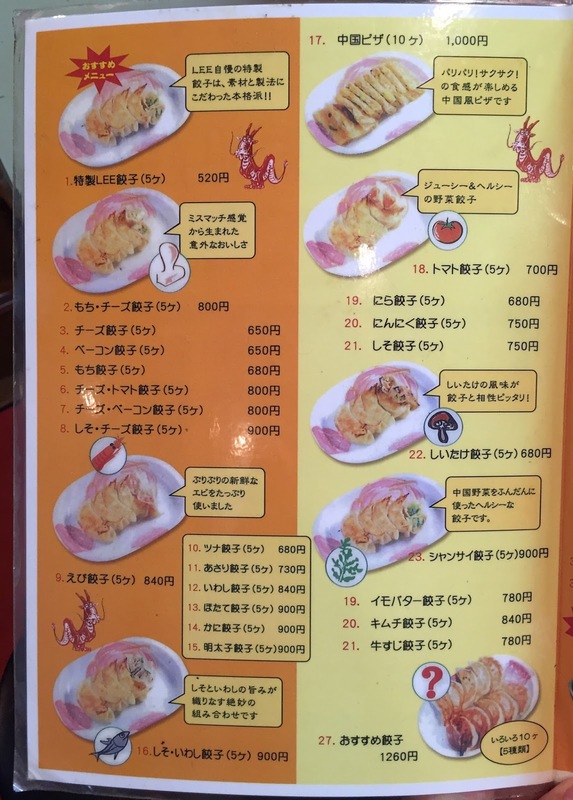 It's a small 2-story establishment and at the first floor, there're about 6 seatings at the counter. 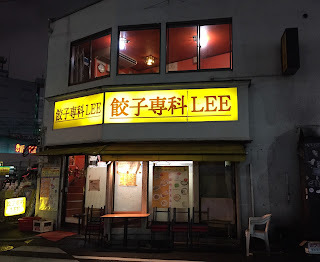 I arrive there on a Saturday night around 10 PM, and there're 2 female customers at the counter. It seemed the prices were standard for the area, but personally I thought gyoza was pricey. I got Special Lee Gyoza (5 pcs) and in about 10 minutes, it's ready. It may sound too long for them to cook just 5 dumplings, but they actually put the filling to hand-stretched flour sheet to order, thus, the wait was tolerable. The bottom was well-grilled and the color was a bit before they're getting burned. 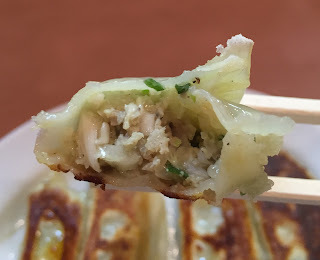 The dumpling sheet was chewy, the bottom was crispy and didn't taste bitter thankfully and the filling was juicy with pork, Chinese chives and garlic. 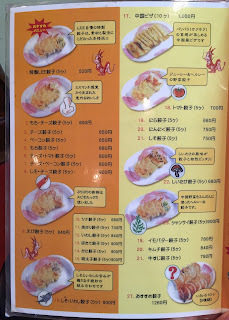 It's simple but decent gyoza, but not that special or large so that 5 pieces for 520 JPY seemed expensive to me. 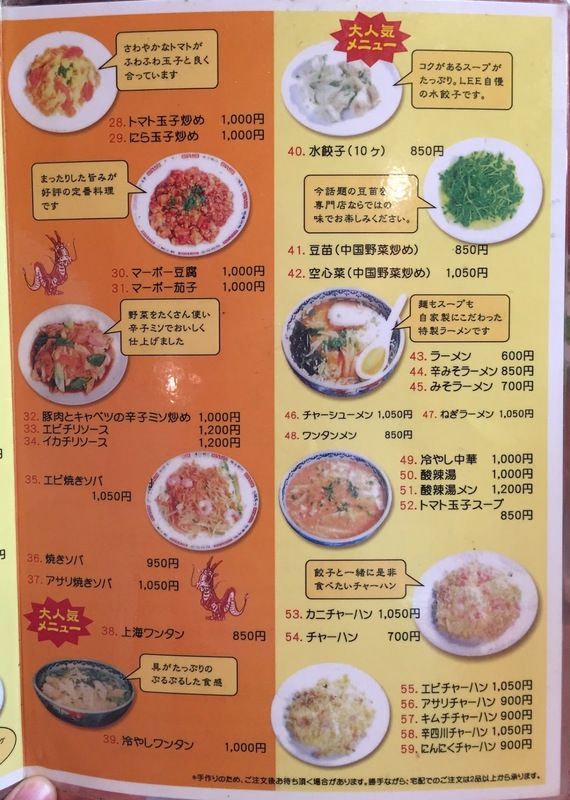 The prices on the menu seemed to be tax inclusive when the tax was still 5%, but currently the tax is 8% so that they had a paper table on the cash register said, "All the dishes will be added 3% tax."